Gene therapy combines a reduced treatment duration with a higher chance of cure unlike conventional oncology treatments such as chemotherapy. However this novel therapeutic approach requires the delivery of genetic material to the patient, an uncharted territory in oncology which will necessitate the implementation of new regulatory guidelines and the restructuring of existing treatment algorithms in various oncology indications says GlobalData, a leading data and analytics company. The company’s latest report: ‘Gene Therapy in Oncology’ provides an overview of the current competitive landscape of gene therapies in oncology and the regulatory framework concerning their clinical development and commercialization across the 8MM*. In addition, the report covers in detail the Phase III and Phase II cancer gene therapy candidates that are expected to enter the oncology space within the next decade and provides key opinion leader insights on the impact of cancer gene therapies in various treatment paradigms in the oncology space as well as a payer perspective on the cost and reimbursement of novel cancer gene therapies. The current clinical development of gene therapies in oncology is dominated by small size biotech and pharmaceutical companies. AstraZeneca is the only large pharmaceutical company with an in-house gene therapy in late stage clinical development. 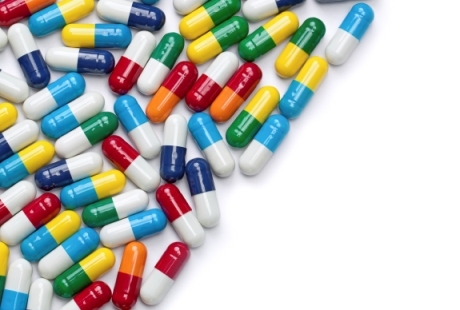 Other major players such as Johnson & Johnson, have the exclusive worldwide rights to develop and commercialize Geron’s imetelstat, while Merck & Co. and BMS are evaluating their respective checkpoint inhibitor therapies with many of the Phase III and Phase II candidates in the cancer gene therapy pipeline. Viral gene therapies dominate the late stage pipeline. There are 25 gene therapy candidates in clinical development in a variety of oncology indications. The most commonly targeted tumor types include melanoma, which is highly responsive to immunotherapies and hard-to-treat tumors such as CRC, GBM, pancreatic, and prostate cancers. 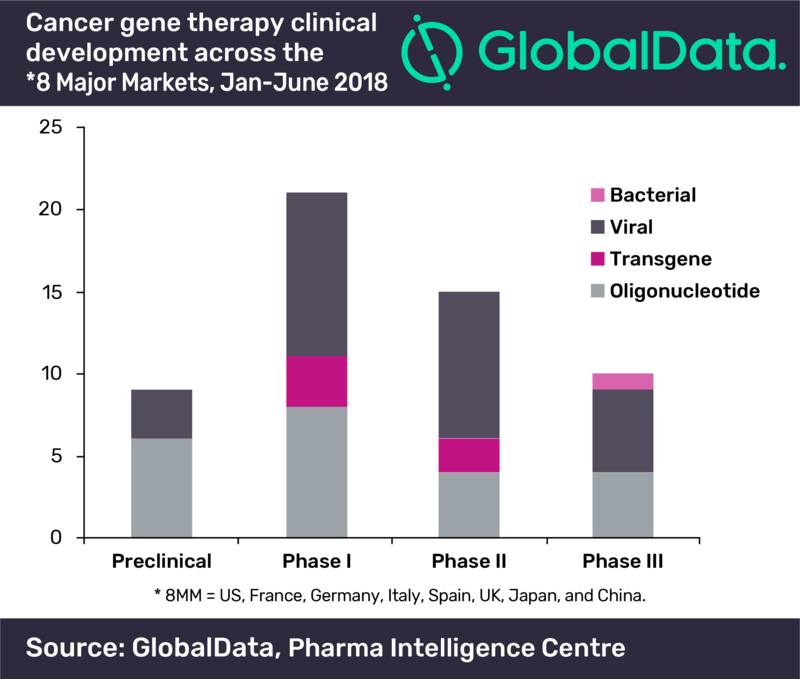 Oligonucleotide and viral gene therapies dominate the Phase III pipeline while oncolytic viral gene therapies are more commonly represented in the Phase II pipeline. In contrast, there is limited clinical development of other types of gene therapies such as bacterial gene therapies and transgenes. The use of novel cancer gene therapies in combination with immune checkpoint inhibitors will provide more clinical benefit to cancer patients, increasing treatment durations significantly. The high cost of novel therapies and longer treatment durations are major factors that will increase the cost of care in the oncology space. * 8MM = US, France, Germany, Italy, Spain, UK, Japan, and China.